Need a great way to keep real butter safe? Can IT! 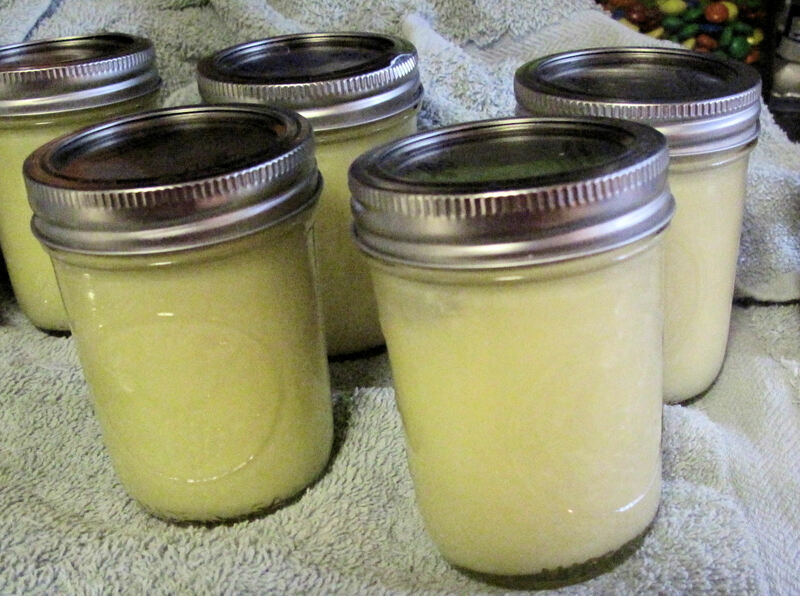 Yes, you can can butter, safely, effectively and it’s a great way to save freezer space and/or refrigerator space plus put some up just in case the hard times hit. I will note, this works for REAL BUTTER ONLY. Do not use ‘butter’ that isn’t real, the result will be a mess. 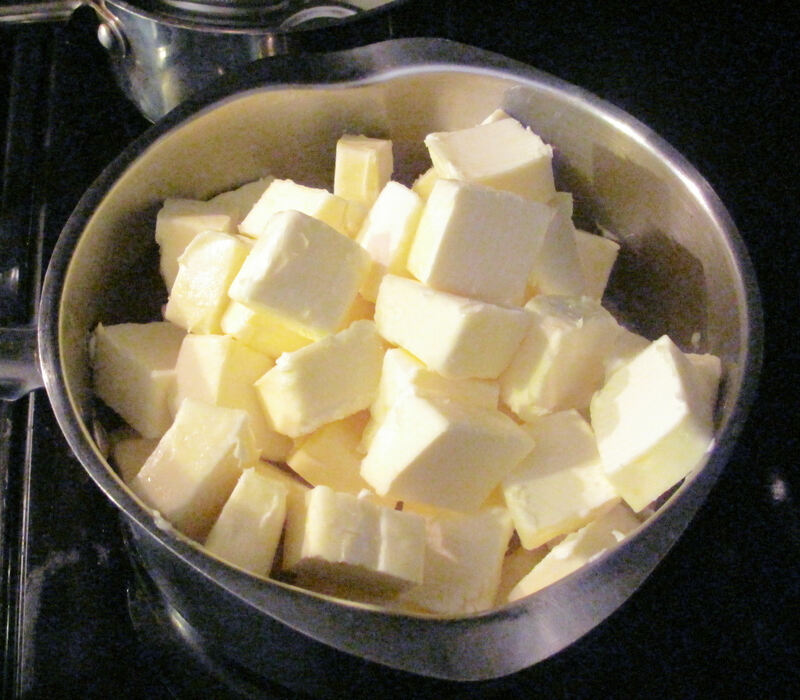 Pot to melt butter in. 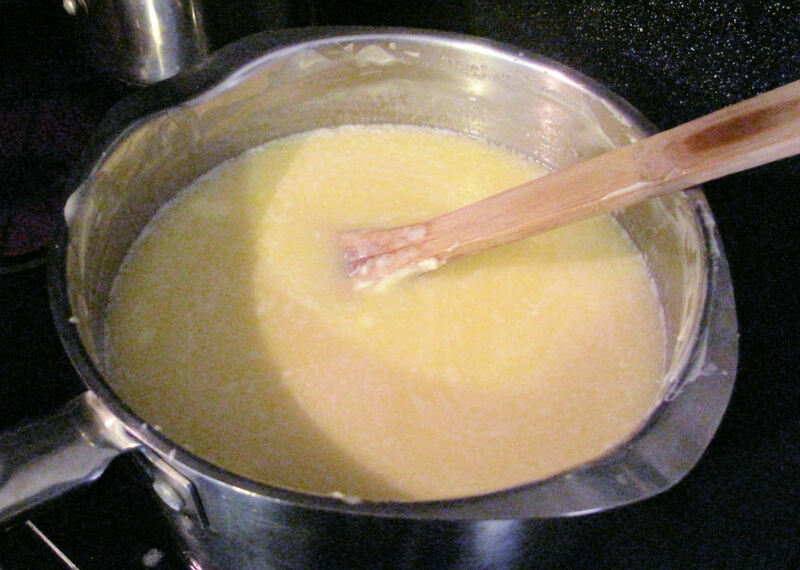 Prior to beginning melting your butter, be sure your lids are clean. DO NOT simmer your lids continuously, the lids you find now on store shelves do NOT require this and in fact you face seal failure if you keep them simmering. I will place my lids into a pot of water being to a boil and the minute they ‘boil’ I take them off the heat and set aside. They stay warm, but this doesn’t harm the new ‘rubber’ on the lids. Wash your jars and place onto a cookie tray the whole thing goes into a 250 degree oven (this keeps them ‘clean’ as the temperature kills any bacteria or gremmies). This will also help to keep water out of your jars and will help to ensure a good seal on the jar with the new lids. I started out with 3 lbs of butter in sticks. Unwrapped each one and then sliced up into my pot. Melt all the way down. While doing this I brought my canning water (water bath canner) up to a boil (2 inches of water in it). After melting the butter all the way down get the jars out of the oven. 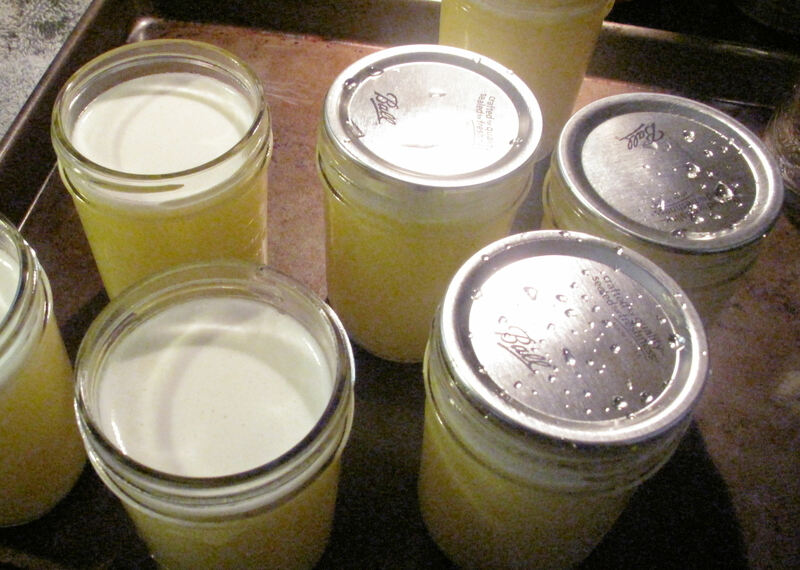 Then pour the melted butter into ½ pint jars (if I have no refrigeration I figured the smaller size would be best for keeping it once opened) leaving ½ inch head space. Put a bit of vinegar onto your small towel to wipe the jar lip and screw on area clean. Be sure to do this step. I use vinegar as it works best on ‘fats’ to cut it/clean it. Put your lids and rings on as usual. Place all jars into the water bath canner. Once it comes back to a boil, place the lid on it. 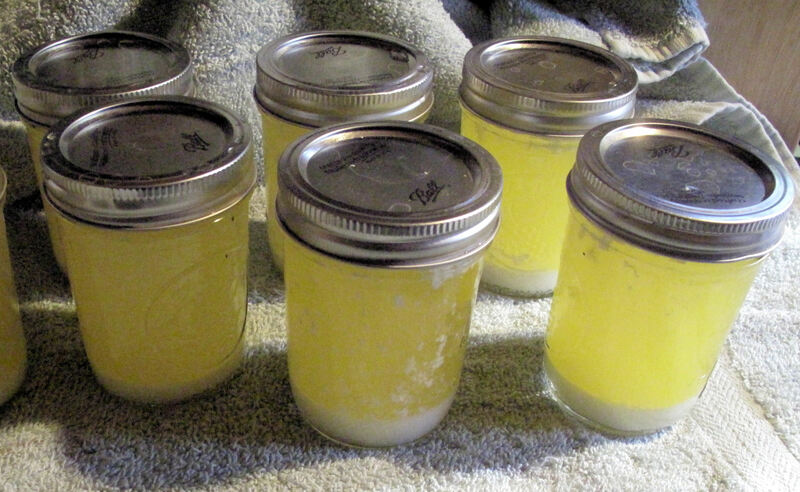 For ½ pint jars you will process for 20 minutes. Quartz will require 45 minutes. After processing take out and cool as you normally would. On a towel with the jars covered to make the cooling process slow. After a couple of hours of sitting, come back and SHAKE each jar well about every 10 to 20 minutes until set solid. stay safe, enjoy and be prepared! Reblogged this on The Crazy Canners.